. EDGECORE 24 Port PoE+ Managed L2+ Switch with 4x 10G Uplink Ports. 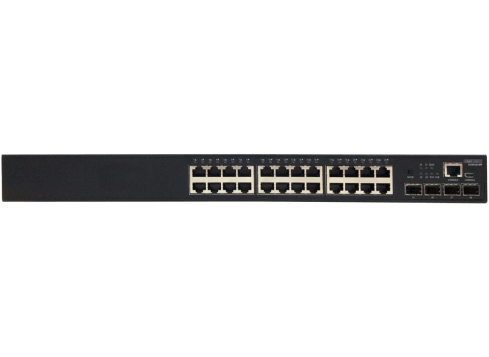 EDGECORE 24 Port PoE+ Managed L2+ Switch with 4x 10G Uplink Ports. EDGECORE 24 Port PoE+ Managed L2+ Switch with 4x 10G Uplink Ports. Power Budget: 370W. IPv6 Support, VPN, & VLAN. Comprehensive QoS, Enhanced Security with Port security limits. 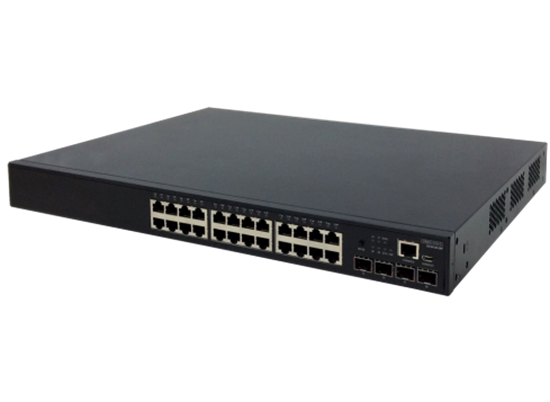 The Edgecore ECS4120-28P switch is a Gigabit Ethernet PoE access switch with four 10G uplink ports. The four built-in 10G SFP+ ports provide uplink flexibility, allowing the insertion of fibre or copper, Gigabit or 10G transceivers, to create up to 10Gbps high-speed uplinks to servers or service provider, corporate, or campus networks, reducing bottlenecks and increasing the performance of the access network. Comprehensive QoS - The ECS4120-28P offers advanced QoS for marking, classification and scheduling to deliver best-in-class performance for data, voice and video traffic at wire speed. IPv6 Support - The switch supports a number of IPv6 features, including IPv6 Management, DCHPv6 Snooping with Option 37, IPv6 Source Guide and MVR6. Service Monitoring and Management - The ECS4120-28P supports IEEE 802.1ag and ITU-T Y.1731, allowing service providers to monitor end-to-end services, identify connectivity and performance issues and isolate problems from a remote location without dispatching an engineer onsite. The ECS4120-28P can provide up to 30W of power to attached devices, such as VoIP phones, wireless access points, and surveillance cameras etc, all over existing Cat5 cables. The PoE Power Budget is 370W.